There's a public price awarded by the audience. Piano, Voice, Violin and other Strings, Winds and Ensemble. The Competition is open to the candidates of all nationalities born in or before 2001 (for the piano and violin section you must be at least 14 years). Selected applicants will enter the final round of the competition. *Selected applicants will be announced in the Nishinihon Newspaper and also Nishinihon Ongaku Kyokai will contact them directly within a couple of days after the audition. Ensemble pieces should be pieces which have originally been written for ensemble. If you have an ensemble with singers, you should be at least with two singers. *It is possible to play either the same piece of the audition or different one at the final round. Thursday, August 3d 2017, announcement of admission to the final round. Monday, August 7th 2017, final day for submission to the final round. This year's competition is played without divisions. Proclamation of the results on Sunday, August 27th 20176 after the competition. 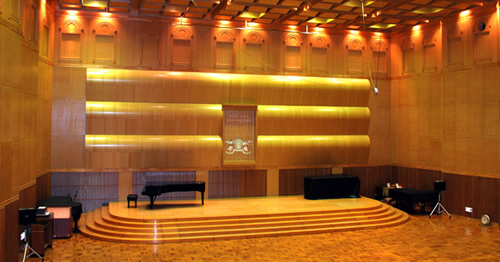 2010-2019 © Nishinihon International Music Competition　All rights reserved.